A foundry based in Walsall West Midlands approached us looking for guidance on how to deal with environmental control issues that was impacting upon local residents. The foundry production facility emitted dust into the local atmosphere through the existing roller shutter door apertures as they were being left open during normal operating hours from 6am to 10pm. The foundry needed easy access during these hours for distribution and general site movement by both personnel and forktruck. Simply closing the roller shutter doors was not an option as it was time consuming and inefficient use of time. The open doors also had a large impact on the heating energy costs for the production areas as heat was escaping through the opening. 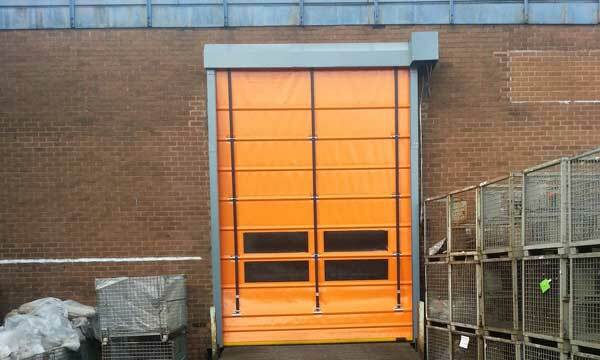 Worcester Doors have installed high speed doors to several apertures within the factory area of the foundry which operate automatically via ground loops so when a forktruck approaches the aperture the door automatically rises within seconds. The fast action door then automatically closes after the forktruck has passed through the opening. These doors have several safety devices to stop the door closing during operation should a truck stop within the opening thus preventing impact damage to both the truck and the doors. The foundry has reported a 42% reduction of costs on the energy bills for heating, the local residents are no longer reporting dust fall out and have also commented that the noise reduction has been considerably more than expected. The maintenance department anticipate that the doors capital expenditure will be reclaimed with 14 months due to cost savings on heating and the environment agency are very happy with the results in reducing local pollution.